It’s School Holiday Time – Will You Avoid The Grimness Of Soft Play? It struck me the other day whilst thinking of ways to entertain the kids over the school holidays that I have reached a watershed in parenting. The kids are now at that age when they are much too big for soft play – both in age and size – hurrah! 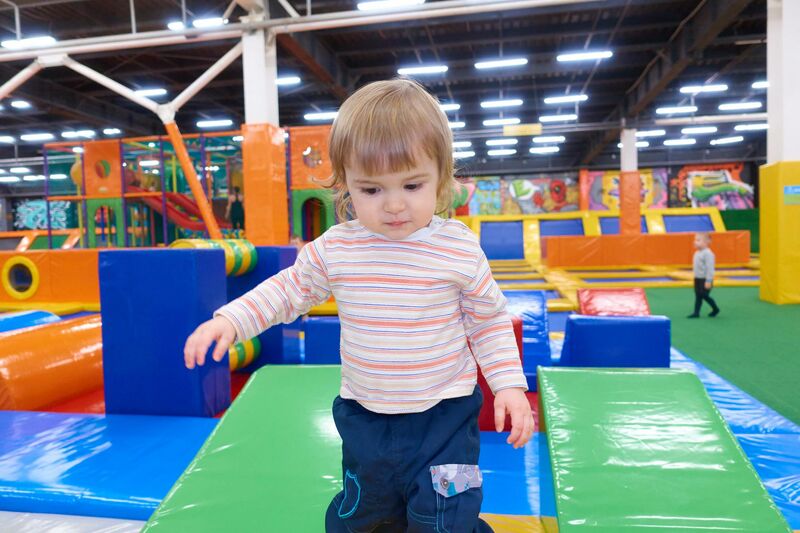 Previously in my parenting career, soft play centres were a necessary evil – the location for many a loud and boisterous child’s party coupled with the chance to be ignored by the various tribes of school mums in a completely different location. Still, there was usually WiFi and coffee. Leaving aside the small mortgage these places seem to demand for the privilege of risking anything from a verruca to a moderate personal injury claim, these are my top gripes. There’s never enough staff to supervise. Once your kids’ shoes have been chucked into the grubbiness of an ancient IKEA plastic bucket, you’re on your own. I swear some of the kids I’ve seen in our local soft play centre have the beginnings of stubble or breasts. Is a soft play centre really somewhere for pre-teens to hang out? Should you dare raise your voice to your child you are regarded balefully as someone who must be on a social services register somewhere. Equally, should your child be picked on, the parents will be so attached to their phones the chance of them removing their child are zero. On the other hand, if they do notice, you can bet it will be your child who is at fault. At least our local centre does. I once unwisely joined Ieuan on the slide and came down it so fast I nearly ended up back in reception. (See I told you some of the ‘kids’ had breasts). A word to the wise – a little bit of limp netting at the bottom of the slide is not going to stop a 140 lb adult at speed. They will get stuck at the highest point on the climbing frame. From which location they will remain tearfully mute and petrified until you crawl up the three flights of structurally dubious frame to get them, knocking smaller children aside in your haste to rescue your offspring and discovering your bottom seems somehow too large to fit through the entry points. Once you get there said child will be totally fine and leave you there like a breathless lump. I suspect there are some kids who have started their own black market trade in ultrathin loo roll, along with other basic necessities such as paper towels and door locks. I don’t know why they both buying these in any colour other than brown or off-yellow because that’s invariably the colour they turn. Stickers and those strange plastic things in eggs will tempt your child to ask for £1 at approximately 10 minute intervals until you give in. Why, I have no idea. Whoever thought it a good idea to let kids work themselves up into a lather and then go home on a sugar high is either not a parent or is at war with Jamie Oliver. Our local centre will charge you a £1 for a frankfurter sausage slapped in the middle of a dry hot dog roll. No butter. No garnish. Not even a slice of tomato. The Husband says I’m weird for buttering my hot dog rolls but you have to eke out some miserly pleasure whilst your tinnitus is screaming and you are having an anxiety attack because you haven’t seen your kids for the last 15 minutes (since they asked for a plastic egg and candyfloss). Why? Do they not know about protecting kids’ ears? Or mine come to that. Having to listen to “Let It Go” for the millionth time at a volume which makes a pneumatic drill seem like a chirping cricket is sheer purgatory. On the plus side though at least you can let your kids run free with their mates in an environment where any spats of a more violent nature can be dealt with. Despite the fact the coffee would normally dissolve metal, at least you can get a caffeine fix and plan the rest of your week. Unless there’s a zip wire. In which case the next two hours will require you to stand sentinel-like and fully alert in case of the inevitable health and safety incident. And that’s just the Husband. "Problem Page Edition 28 – 03/08/2018"
While ours love soft play we are most definitely avoiding it. The good thing is that the weather has been so fab we don’t really need to be indoors! I loathe soft play venues. As you say, they are noisy and there always seems to be inadequate supervision. I’m also very dubious about how clean they are, which used to worry me when I took my granddaughter to one. I’ve heard it’s good to expose young kids to lots of germs, but I always found myself constantly wiping my granddaughter’s hands with hand sanitiser.